· I have been trying to remember the last time I saw Nancy although it was definitely not the last time I saw her it was the last time I remember. 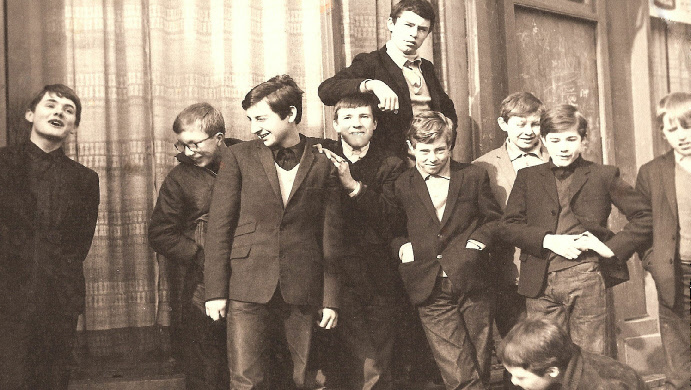 I was in Shoreditch School I think it was to see Mr. Toms or Mr. Holliday and as I was passing a classroom I saw Nancy teaching a class of kids French, I knocked on the door and she beckoned me in, she introduced me to the class as a friend and ex pupil of Shoreditch School. She gave the class a reading task and carried on chatting to me it didn’t matter what she was doing she always seemed pleased to see you even though I probably had seen her the day before. I have been in touch with a friend of Nancy Chris Preist and he has kindly written a memoir of Nancy which is printed below. I would like to thank Chris for his help. · Nancy Amphoux lived for a long time in Strasbourg, working as a translator for the Conseil d'Europe. While there, she began a relationship with Jean Baby, the chief librarian there and also the founder of the Strasbourg Zen Dojo, which would continue to the end of her life. Both of them followed Zen Master Mokudo Taisen Deshimaru - an unconventional Soto Zen teacher who came to Paris in the 60's. Nancy would comfortably refer to herself as a disciple of Deshimaru - in the sense that she submitted to his teachings and the discipline of Zazen; seated Zen practice. However, anyone who has known Nancy at any point in her life will know that Nancy was no yes-woman; and for her to be a disciple did not mean mindless acceptance of the words of another, but rather an intense relationship in which questioning and challenge played a part. She was close to him, and traveled with him both to Japan and the US. She wrote about her relationship with Deshimaru in the book 'Diary of a Zen Nun', together with her relationship with the cancer that finally killed her. The book was published by Penguin but is unfortunately now out-of-print. Master Deshimaru was keen that Nancy translate his teachings in English, as most were transcribed in French (despite being given in 'Zenglish'), and she did significant work in this direction. She translated 3 of his books, 'Questions to a Zen Master', 'The Ring of the Way' and 'The Zen Way to Martial Arts', and these were also published by Penguin in the 80's. (Again, now out-of-print.) However, after Deshimaru's death, she and Jean wanted to devote their energy to spreading his teaching and the practice of Zen. Rumour has it that they had different views about where this should be - Jean wanted to go to Israel, while Nancy wanted to go to the USA - and the UK was a compromise.... Whatever the truth was, they ended up in Bristol. They founded Bristol Zen Dojo together in 1986. Initially it was part of a Martial Arts building ('A spiritual 19th hole', joked Nancy following some local publicity of it...) but soon moved to a location of its own in the basement flat of one of the new group. Nancy committed her intense energy to the practice and transmission of Zen, the success of the Bristol group, and the formation of groups elsewhere in the country - Manchester, London, Edinburgh, Oxford, South Wales.... Together with Jean, she founded the UK branch of the International Zen Association (www.izauk.org). She continued to lead daily practice periods, Zen days and Sesshin - more intensive practice periods - until the cancer which had been in remission reasserted itself, this time in her spine. She returned to Strasbourg to be closer to the doctors she trusted, and stayed there undergoing surgery and chemotherapy in an effort to hold it back. I visited her there, and though her body was wasted, it was clear that her spirit was intense as ever when she batted aside my words of pity. Soon after that visit, she chose to stop treatment and came back to Jean in Bristol. She prepared to die - systematically arranging her affairs and giving away possessions she felt Jean would not be interested in, and teaching with growing intensity from her home, despite the morphine she used to keep the pain at bay. As I was leaving, the last time I saw her alive, she spoke the word 'Zazen!' and gave me the thumbs up. I knew she didn't expect to see me again, and wanted to emphasise what she still saw as central to her life (and mine) - the practice of Zen. She died two days later, and despite the inevitable sense of loss there was some sense of 'rightness' about the way it happened. Her legacy to us is the teachings she gave, which live on in a number of us who continue to practice and teach ourselves. 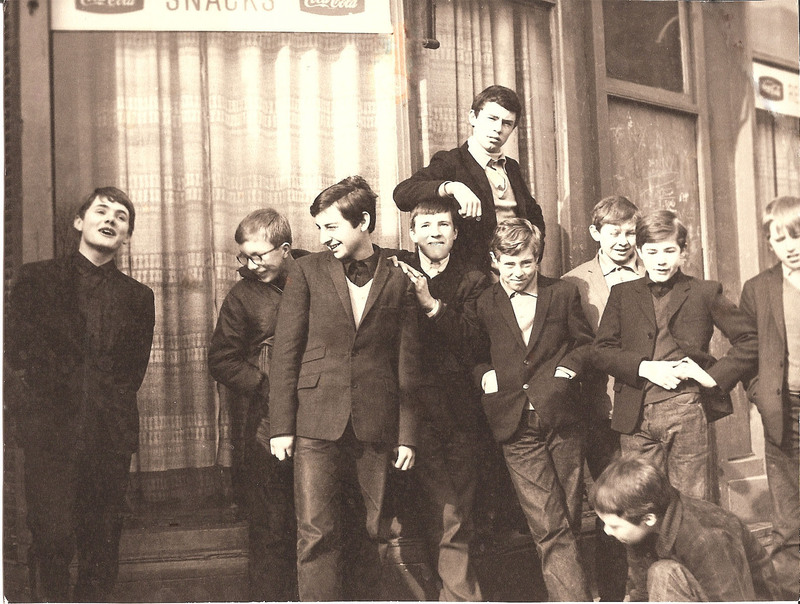 · I would add that Nancy and Jean came to Bristol in 1986, and started the 2nd group/dojo in Manchester in 1987. The books, are available if you wish to obtain them via www.abebooks.co.uk, search Nancy Amphoux or Taisen Deshimaru. Many 1st editions are available under Dutton and Rider editions, very cheaply, from the USA. Hard back copies of ‘Diary of a Zen Nun’ are available. I have scanned an article written from a martial arts magazine and the article written by Jean Baby for the AZI magazine in 1992 after she died, with a translation given in the same magazine. I remember calling and speaking to her a week before she died, to thank her; she replied “Thank Nancy, Thank Alan - it goes on”. I called the day of her death (29th Feb 1992) when I felt something was happening but was unable to speak to her; it was not until the next morning I heard she had died at the time I was calling her. So 16 years later, it goes on, we continue to practice what she transmitted to us. Nancy is dead. She would not have liked us to say she had "left us" or "passed over" or whatever. She always called a spade a spade. She died after suffering terribly for a whole year, struggling relentlessly against a cancer that ate away at her bones. She never lost sight of Sensei's teaching that so long as we have life, we should live it - but when death comes, we should accept it. And that is what she did. Once the medical profession had given up on her and sent her home, she completely accepted her approaching death. She even spent time planning for her death and its consequences. She practised zazen and sampai as long as she was able - and beyond. She had great faith in the Hannya Shingvo. We had spent two hours chanting it together when her heart failed and her last moment came. I write this for those who knew, valued and loved her. I want them to know that her last months were happy - often joyful - both for her and for those around her. And that her final out - breath was very peaceful. Born 17th July 1935 in Rockford (Illinois), a small town in the Middle West, of a conservative, puritan, landowning family, Nancy was "Brought up in the cornfields". She studied at Vassar, the women's equivalent of Harvard, where she obtained a Master's degree in Drama. Council of Europe, first as a secretary, but quickly becoming a translator. She was to make translation her career. In 1967, she went to teach in London, where she remained seven years. She started living with Jean Baby in 1972 and returned to Strasbourg in 1974. In 1975, she met Master Taisen Deshimaru and did her first sesshin at Cret-Berard. She was ordained nun and quickly established a close relationship with Master Deshimaru. She travelled widely with him, going to Japan via China, the U.S., Morocco, etc. She practised for twelve years in the Strasbourg dojo before leaving for England in 1986. She was determined to create a dojo in an English-speaking country and, together with Jean, created six. She started as the driving force behind this project, but gradually had to withdraw as bone cancer sapped her strength. 3 works by Master Deshimaru: Zen and Martial Arts, The Ring of the Way and Questions to a Zen Master. Biographies of Tolstoy and Pushkin by Henri Troyat. 5 volumes on the French Revolution by Manceron. She spent the last two years translating the Shodoka by Master Yoka Daishi (unpublished) and was also the author of the Diary of a Zen Nun (Dutton, 1986). 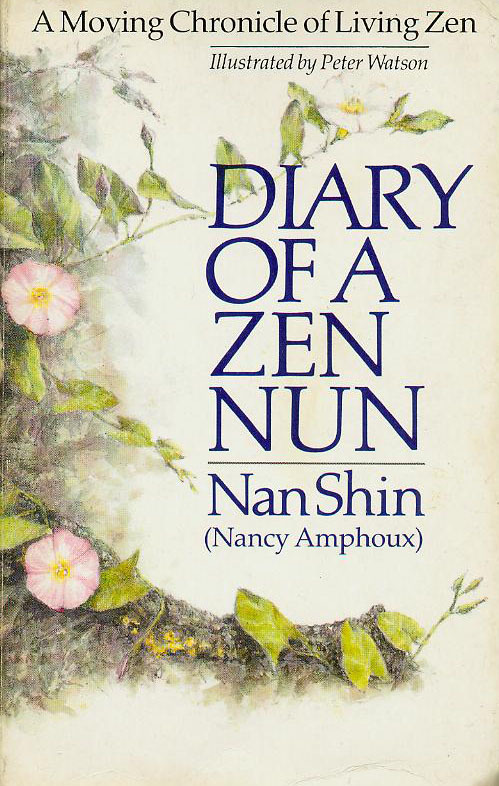 the book is titled “Diary of a Zen Nun” under her Zen name Nan Shin.